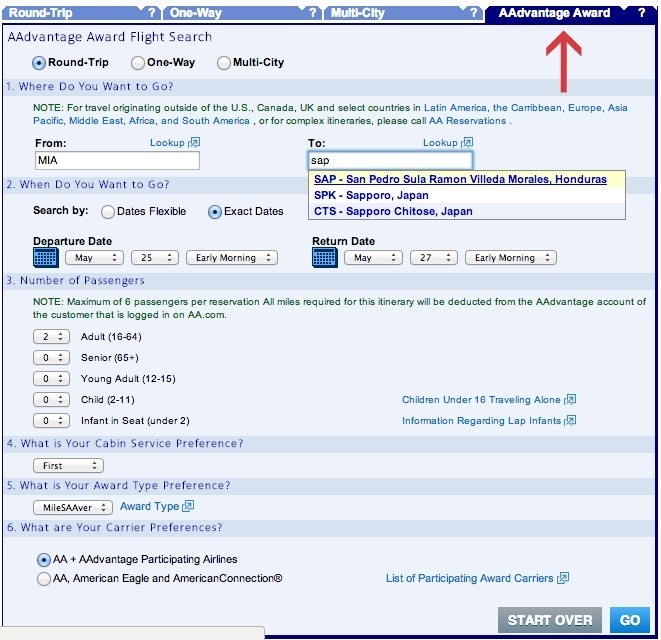 Make sure “AAdvantage Award” tab is selected and fill in your departure details. I suggest doing a search for Round-Trip because it won’t take much longer. 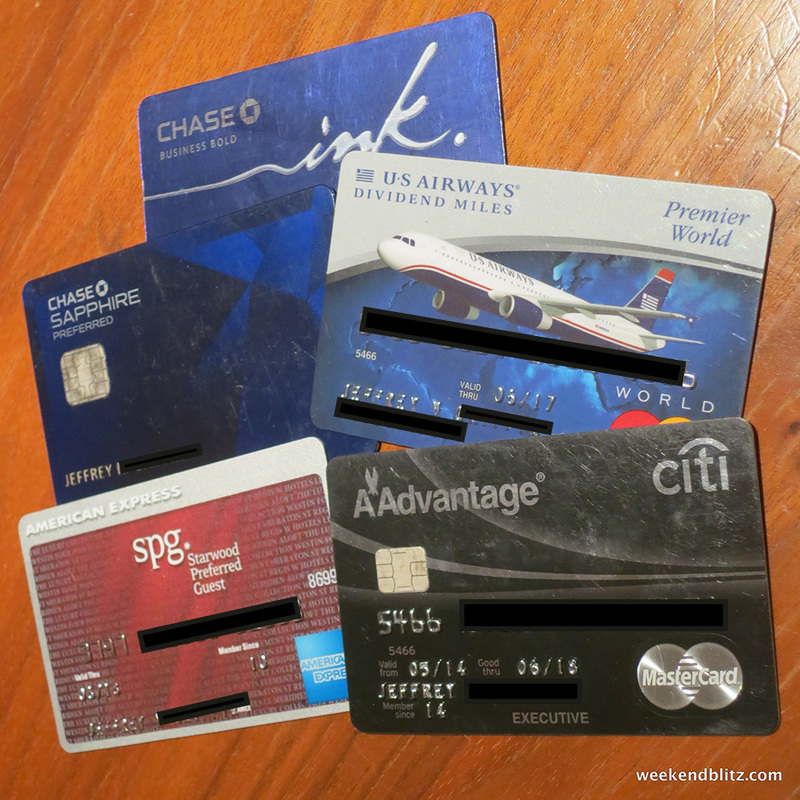 Check your options here. 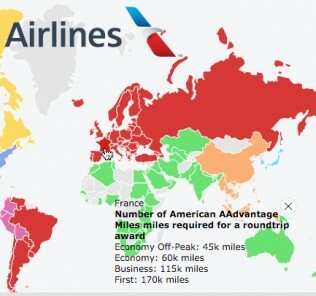 Any non-stop flights in the “Economy MileSAAver” or “Economy MileSAAver Off Peak” should be bookable with British Airways Avios or other Oneworld Partner miles. 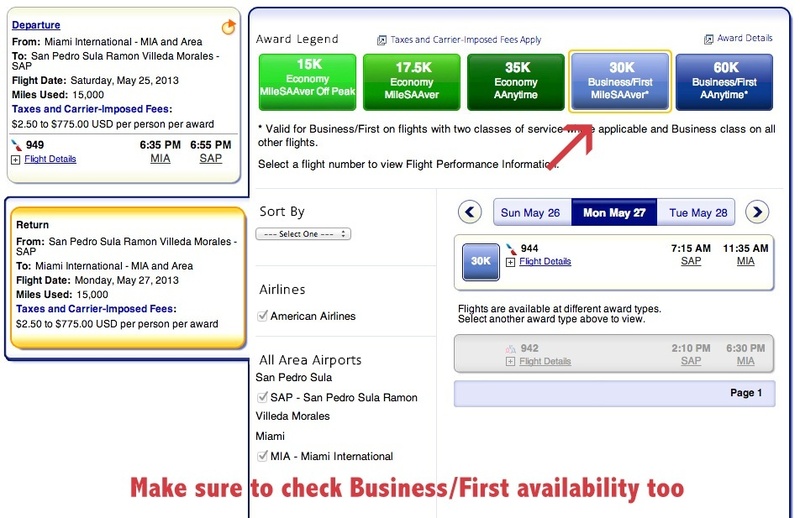 Don’t forget to check “Business/First MileSAAver” space and make notes. 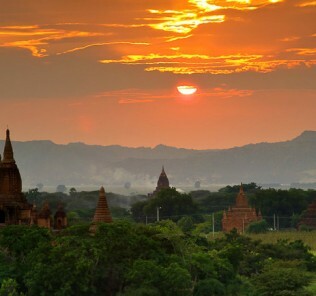 It will cost more, but it’s still bookable via British Airways Avios. 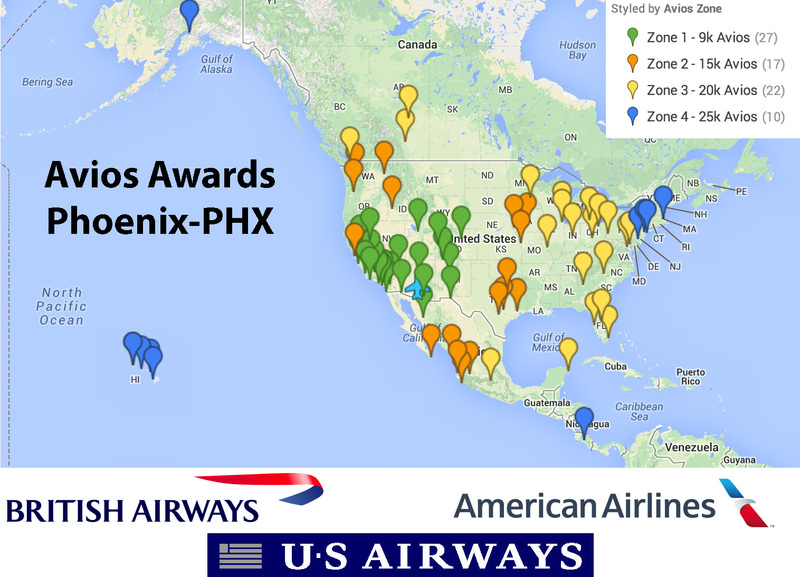 American has recently released a new Award Map that is designed to show you availability on specific dates. In practice, it hasn’t received great reviews (which I why I will use the manual search method most of the time), but it can give you a quick idea of what is available on certain dates. 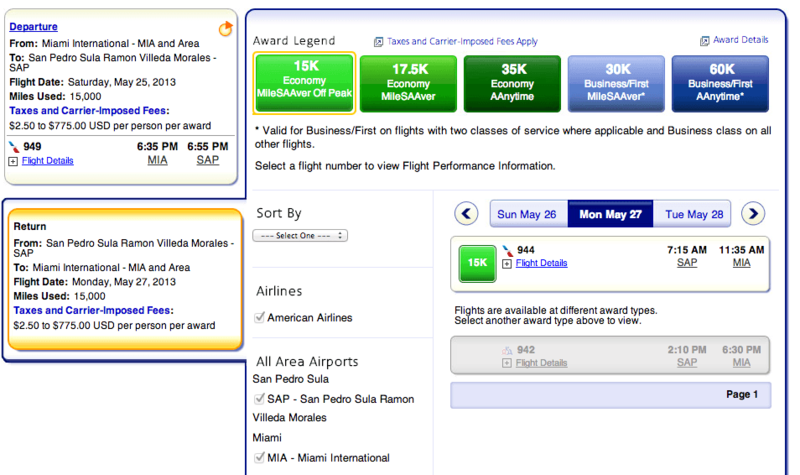 If you’re booking the space on AA with AA miles, then you can use your actual city pairs. 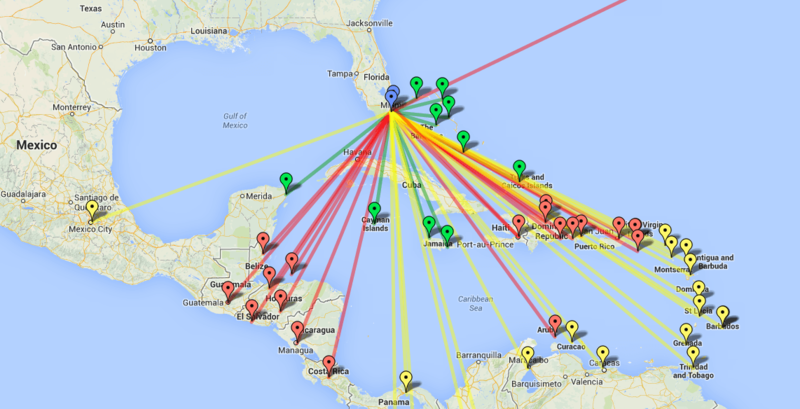 For example, I would put in “From: CHS” and “To: Mexico & Caribbean” and see what comes up. No results on this test run. 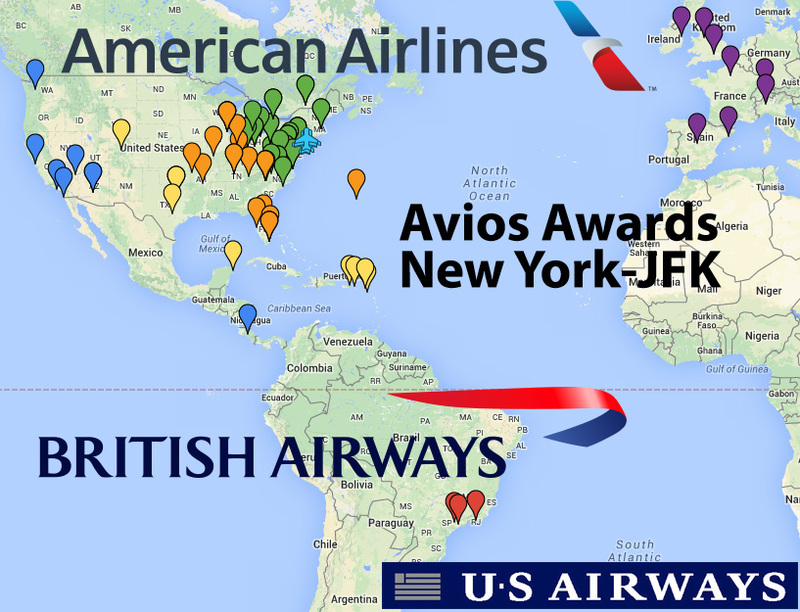 If, however, you’re just researching low-level space to then book using BA Avios you’ll want to search out of the hubs or cities that you know have direct flights (big hubs for AA: MIA, DFW, ORD, NYC, LAX) since the BA Avios awards are booked by segment. In this case I would search “From: MIA” and “To: Mexico & Caribbean” and check the results. Finding much more availability on this search, this tells me that the Charleston-Miami leg was the weak link on the first try. Once you’ve found cities and dates that work, click on the “Book Now” link. 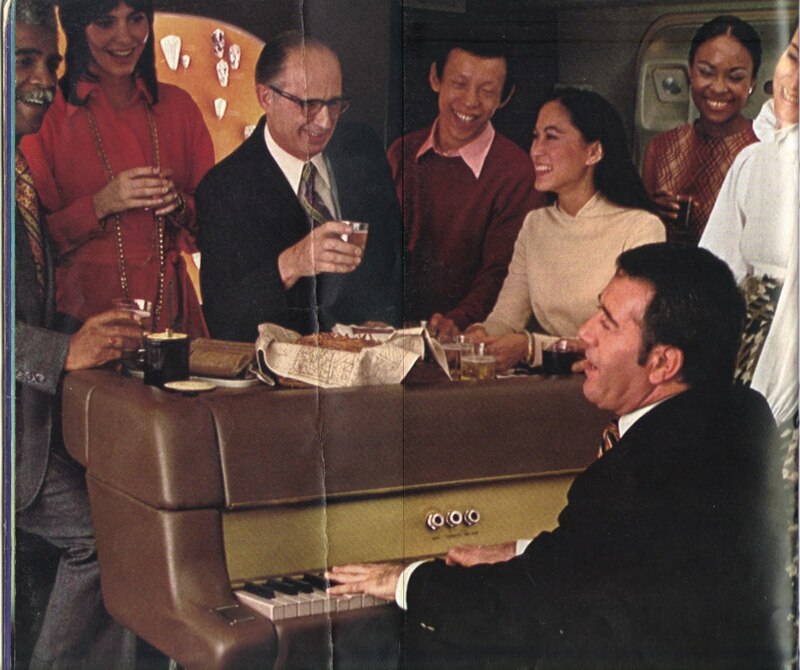 This will let you review your flight options. 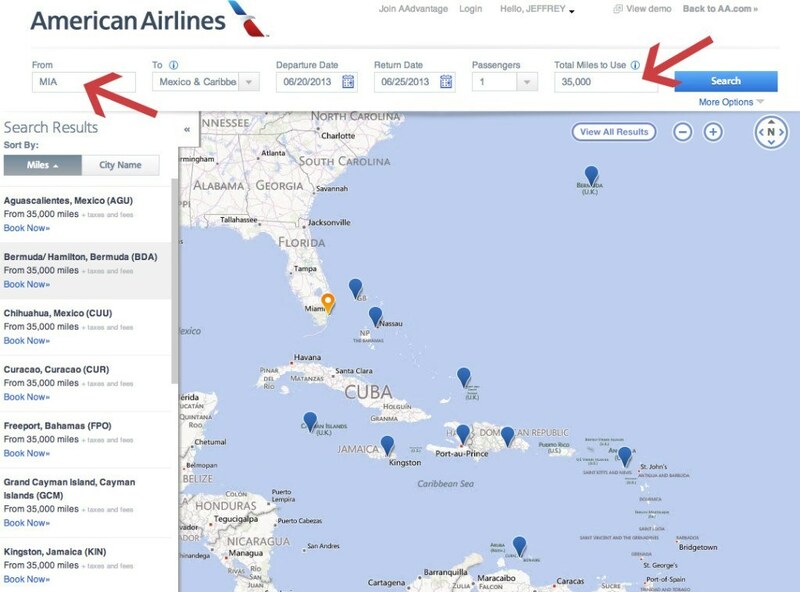 If you’re booking with AA miles, you can simply follow the links to booking. If you want to book with British Airways Avios, you’ll need to write down specific dates and flight numbers, segment by segment and head to British Airways to book.